Rodney King would be the first to tell you that he was no Martin Luther King, Jr. or Malcolm X. His lifelong bout with alcohol and drugs — battles that he always seemed to lose — and frequent run-ins with police did not qualify him for icon status. Yet, that’s what he achieved in 1991 at the age of 27 because of one video clip. It was graphic footage filmed by a bystander showing at least four Los Angeles policemen savagely kicking and beating King with police batons, landing at least 50 blows as the unarmed King was sprawled on the ground or struggling to stand up. In the video, the officers were seen teeing off on King as though they were holding baseball bats or golf clubs. Several other officers stood around, doing nothing to halt the repeated assault on the helpless King. More than any other event, the brutal beating of Rodney King, an unemployed construction worker, forced America to see what many did not want to believe existed — police officers, hiding behind a badge and a gun, brutalizing citizens who pose no immediate threat to them or the public. King was found dead early Sunday morning at the bottom of his swimming pool at his home in Rialto, Calif. No foul play was suspected. His entry into the national spotlight has its roots in an incident that took place in 1989. King robbed a grocery store in Monterey Park, Calif. He took $200 and was sentenced to two years in prison. On the night of March 2, 1991, following hours of drinking with friends, King was spotted speeding in the San Fernando Valley area of Los Angeles. When cops tried to pull him over, he tried to elude them by driving even faster, up to 100 miles per hour, fearing that he would go back to jail for violating his parole. After a high-speed chase joined by other officers, King was cornered and ordered out of his vehicle. The two passengers accompanying him, Bryant Allen and Freddie Helms, immediately complied with the order to exit the car and lie face down on the ground. King delayed his exit and when he emerged, he acted strangely, waving at police helicopters that had been part of the chase and giggling uncontrollably. Sgt. Stacey Koon, the supervising officer, fired a Taser into King’s back, causing him to drop to his knees. Officer Laurence Powell hit King in the head, knocking him to ground, and continued striking King. Other officers moved in as well, pummeling King with their night sticks. After being struck 56 times and kicked a half-dozen times, King was handcuffed and dragged to the side of the road on his stomach to await the arrival of an ambulance. King later reported that he had suffered 11 skull fractures, permanent brain damage, kidney damage and broken bones and teeth. Four of the officers — Koon, Powell. Timothy Wind and Theodore Briseno — were charged with excessive use of force. The trial was switched from Los Angeles to Simi Valley, a largely White community in Ventura County, Calif.
On April 29, 1992, a jury that contained no African Americans acquitted three of the officers and was unable to reach a verdict on a fourth. Los Angeles exploded upon hearing the verdict. At the end of six days of unrest, there were 53 deaths, 2,383 injuries and property damage was nearly $1 billion. After the Los Angeles prosecutor failed to win a conviction against the four officers, the federal government obtained indictments charging the officers with violating the civil rights of King. Koon and Stacey were found guilty and sentenced to 32 months in prison; Wind and Briseno were acquitted. The city of Los Angeles settled a civil suit brought by Rodney King for $3.8 million. Later, it became clear that the Rodney King beating was not an aberration. • Feb. 4, 1999 – Amadou Diallo was killed by New York City police officers who claimed they thought he was reaching for a gun. Four officers were indicted for second-degree murder, but were acquitted. • Sept. 2, 2005 – Following Hurricane Katrina, Henry Glover was shot to death while near a strip mall shopping for baby clothing. Two cops were sentenced to more than 15 years in prison for shooting Glover, tossing his body into a car and setting it on fire. • Nov. 26, 2006 –Three unarmed Black men, including Sean Bell, were shot a total of 50 times by New York police officers. Bell, who had been celebrating at his bachelor’s party, died in the hail of bullets. Three officers charged with manslaughter were acquitted. • Jan. 1, 2009 – Oscar Grant was shot in the back by Officer Johannes Mehserle while on the ground at a train station in Oakland, Calif. The officer was found guilty of involuntary manslaughter, but served only 11 months in prison. There are dozens, if not hundreds, of cases similar to the ones above. Thanks to Rodney King, the public is not as quick to believe police officers who abuse their power and violate public trust. 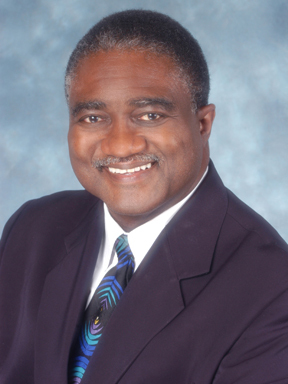 George E. Curry, former editor-in-chief of Emerge magazine, is editor-in-chief of the National Newspaper Publishers Association News Service (NNPA) and editorial director of Heart & Soul magazine. He is a keynote speaker, moderator and media coach. Curry can be reached through his website, www.georgecurry.com. You can also follow him at www.twitter.com/currygeorge.